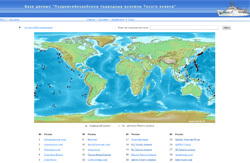 Data on volcanoes and submarine volcanoes in the region: descriptions of volcanoes and their eruptions, data on deposits and rocks, references, photographs etc. 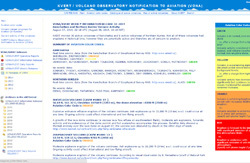 Information about active volcanoes, data on potential hazard to population and aviation, monitoring data etc. 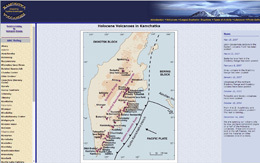 Description of Holocene volcanoes, results of volcanological and tephrachronological investigations, radiocarbon dating, and geochemical analysis. 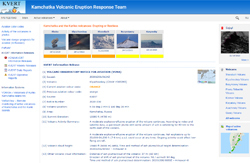 Key information about 312 Pacific submarine volcanoes, as well as data on magnetic properties and chemical composition of the dredged rock samples. 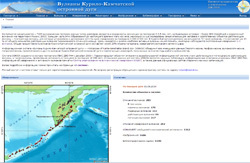 Description of the Kurile Island Arc submarine volcanoes and their structure, results of the geophysical investigation of the magnetic fields from the 1981-1991 voyagers of R/V Vulkanolog. 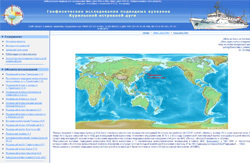 Kamchatka and the Northern Kuriles volcanoes ash hazard observatory notifications for aviation, daily and weekly volcanoes activity reports. Data on crustal volcanic and tectonic earthquakes in one of the most active volcanic centres of the subduction zone in the Pacific mobile belt. 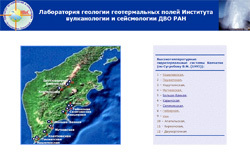 Geologic and structural characteristics of 8 of 11 high-temperature hydrothermal systems in Kamchatka: general information, data on geological structure of geothermal zones. 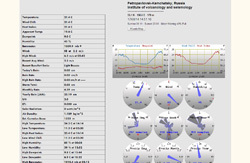 Current online meteorological data, forecasts, archives since January 2011. 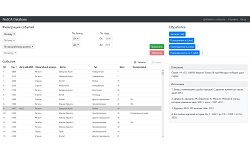 Information and computing system for management of catalogue of natural disasters and catastrophic social phenomena and tools for its statistical analysis. 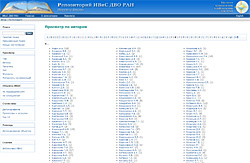 This is an archive of scientific publications. The subject areas are the following Earth Sciences: geology, geophysics, geochemistry, volcanology, seismology. 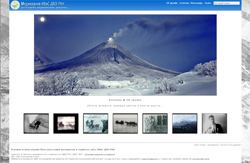 Архив фотографий, видеофильмов и других медиаматериалов, в том числе о режимных наблюдениях и облетах активных вулканов. 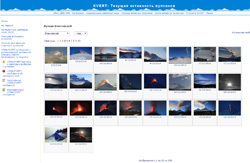 Photos of current status and various stages of eruptive activity at Kamchatka and the Northern Kuriles volcanoes.